Friday morning I spoke to them about the mental side of riding and racing. I've read extensively about this as well as attending many seminars on self-talk and mental stamina. We reviewed the Four Agreements and how they apply to riding your bike! We progressed to working on various vision skills and body positioning on the bike. Then we pedaled to a nearby parking lot to dissect cornering skills and more body position details. 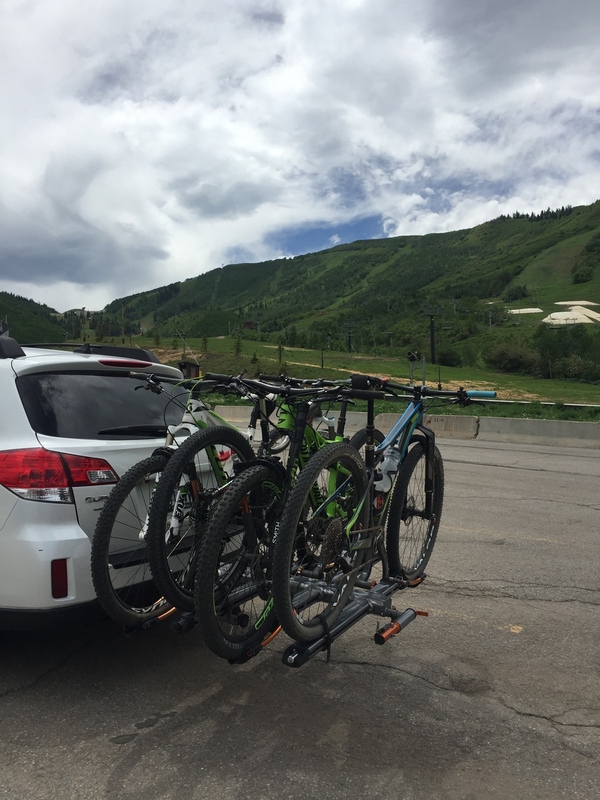 I work with people in a parking lot versus a trail in the beginning to take away all obstacles and distractions so we can distill the exact skills and apply them to the bike/body connection. During our lunch break the women relaxed in the elevated legs and snacked on fruit and nuts. We took our new skills to the trails in the afternoon where we worked on body position climbing and descending. I taught them how to start on a hill and stop mid trail without clipping out (grab a tree!). I also introduced them to how to choose a line when cornering on the descents based on the terrain.